The area of the present City of Saginaw was inhabited by woodland Native American Indians prior to settlement by those of European ancestry. 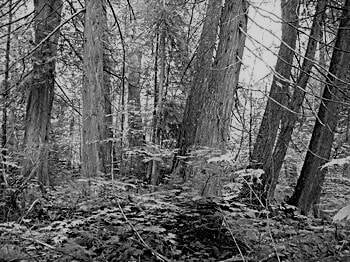 The Sauk at one time lived in the area and were quickly driven out by Ojibwe (Chippewa). The Saginaw region includes an extensive network of many rivers and streams which converge into the Saginaw River and provided a means for easy travel for the Native American population among numerous settlements and hunting areas, as well as access to Lake Huron. Saginaw was also a frequent meeting location for councils of the Ojibwe, Pottawatomi, and Ottawa. The present City of Saginaw itself did not serve as a location for permanent settlement until the time of European contact. 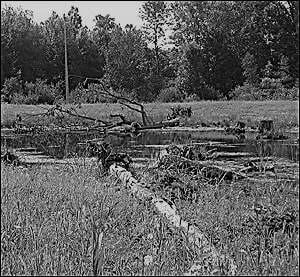 This may be due, in part, to the low lying and frequently flooding land adjacent to the Saginaw River, much of which was marshland prior to being drained in the 19th century. Mosquito infestation was endemic to the area. French missionaries first reached the area in the 17th century. Henri Nouvel, a Jesuit missionary who made repeated visits to the Native Americans present in the area, is of particular significance. He recorded information concerning his travels during the 1670s in his journals. 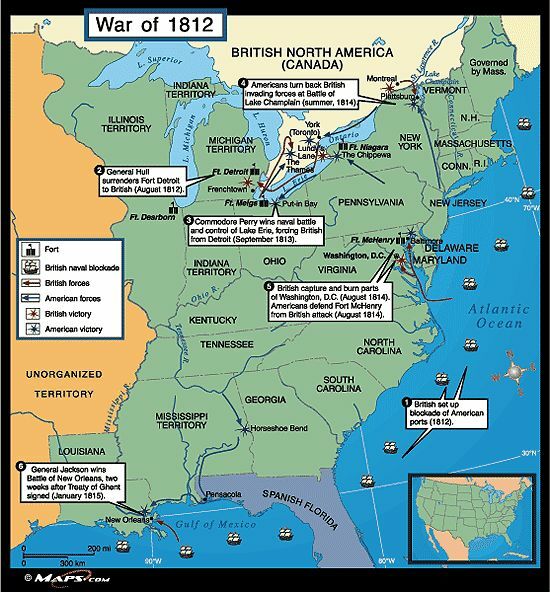 The French controlled the territory consisting of the present day State of Michigan until it was ceded to the British following the Seven Years' War in 1763. The French established permanent settlements in many locations throughout the Great Lakes, but most of the interior of the Lower Peninsula of Michigan, including the Saginaw River valley, was undeveloped. Both the French and the British primarily maintained settlements for trade and strategic defense, neither of which provided much reason to develop the Saginaw region. Following the British defeat during the American Revolutionary War, Michigan was granted to the United States. Despite this, the British remained in de facto control of the area for long after. It was not until after the conclusion of the War of 1812 that all presence of British military was removed from what is present-day Michigan. ​Soon after, in 1816, Louis Campau made the first attempt at permanent settlement at Saginaw by setting up a trading post. Trails leading from Detroit and the Mackinac area began to provide a slow start to Saginaw's development. On September 10, 1822, Territorial Governor Lewis Cass issued a proclamation that set off the boundaries of Saginaw County, although it remained attached to Oakland County for administrative purposes until there was sufficient population to organize a separate government. The county boundaries initially included what is now the southern portion of Bay County and Midland County and the northwest corner of Shiawassee County. 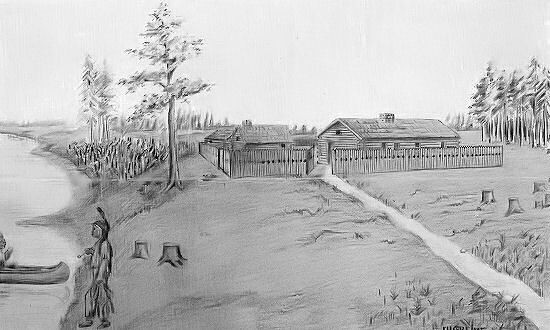 In 1822, the trading post was used by the U.S. Army to establish Fort Saginaw to control the actions of the Ojibwe in the region. Due to the undesirable conditions of intense humidity and mosquito infestation, the Fort was abandoned by 1824. 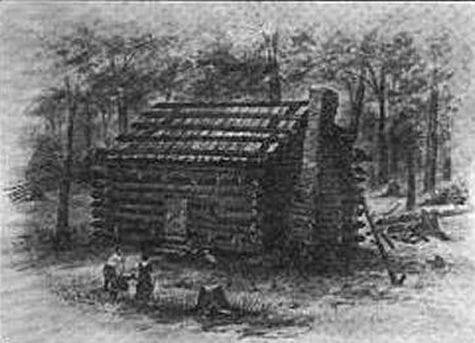 Built in 1822 by U.S. Government.Preface - Preceeding the Fort being erected at the settlement of Saginaw, the Indians has turned over the lands in the Saginaw Valley, and elsewhere, to the U.S. Goverment, providing the opportunity for this frontier area to be opened to white settlers. At this time Michigan was still a territory and the Saginaw Valley was part of Oakland County, the geographical of which extended as far north as Alpena. Louis Campau platted the town in 1823 under the name "Town of Sagana" but few plots were sold. The town languished for most of the following decade, but was re-platted in December 1830, comprising river front from Cass St. on the south to Harrison St. and north to Jefferson. These plots sold slowly. By 1835, only 24 (plots) had been sold and the remainder were transferred to a new owner, who made another plat in February 1837. However, the financial crisis of the Panic of 1837 dampened interest in purchasing properties. After selling only 58 out of the 407 plots, the remainder was sold again in 1841. 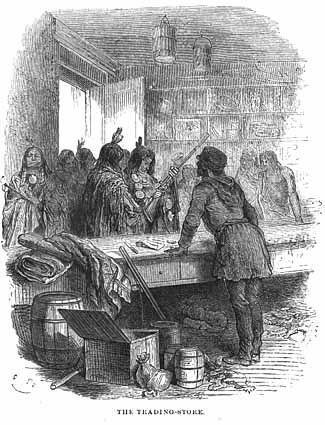 Many of the early Euro-American settlers of Saginaw married Ojibwe women. 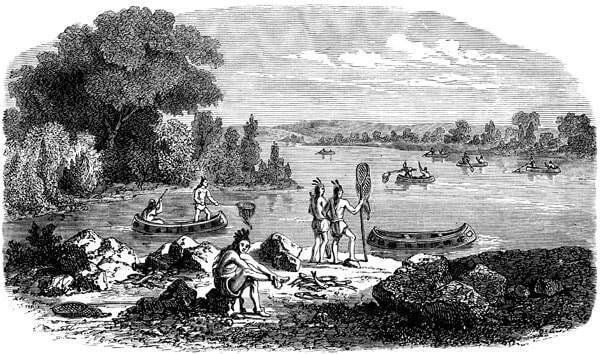 For example, Jacob Grabfoot, a native of Germany who was the first European or Euro-American to settle permanently along the Saginaw River below Fort Saginaw, married a daughter of the Ojibwe leader Kishkawko. 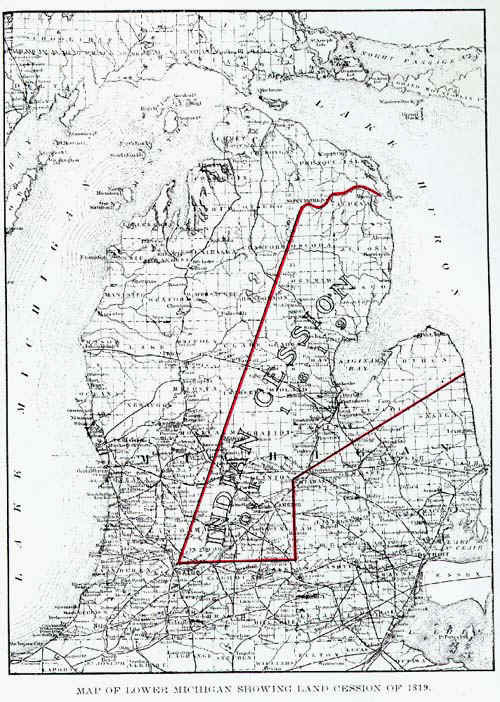 In 1831, the northwest corner of Saginaw County was detached to become a part of Midland County. In 1835, the southeast corner was detached to become a part of Genesee County. In 1857, the northern portion was detached to become a part of Bay County, although the precise alignment of the northern boundary shifted several more times in subsequent years. 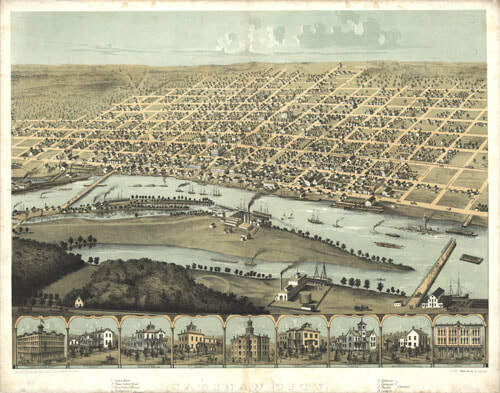 On July 12, 1830, the Territorial Legislature passed an act that erected the Township of Saginaw, effective with the first town meeting on April 4, 1831. 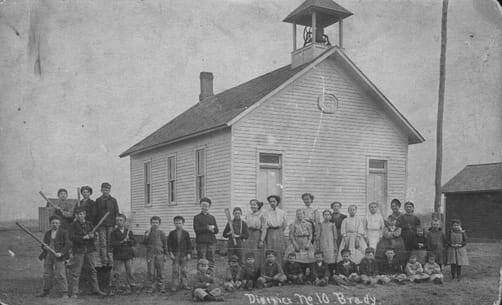 The township comprised all of Saginaw County, which at the time was still attached to Oakland County. On January 28, 1835, the Territorial Legislature passed an act organizing county government in Saginaw County, effective on February 9, 1835. Four years before the county government was organized, another proclamation by Governor Cass on January 11, 1831, located the county seat at what was to become the City of Saginaw. The settlement was which had been platted for that purpose by a group of area residents. PIONEERS, EARLY SETTLERS OR FIRST FAMILIES OF SAGINAW CITY OR COUNTY? ​WHO PAVED THE WAY FOR OUR FUTURE!